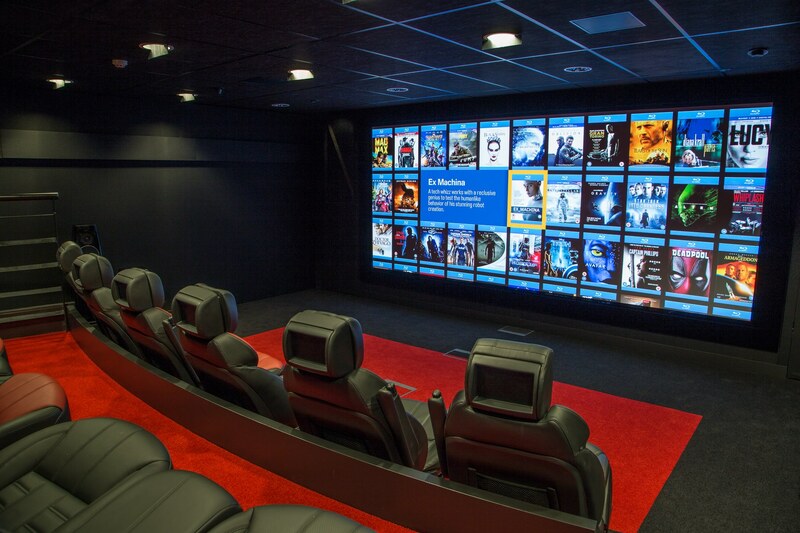 Display Technologies Ltd design and manufacture the DT Screens range of high end home cinema projection screens; fusing the highest technical specification and performance with the greatest ease of install on the market. DT Screens provide a comprehensive range of solutions offering total flexibility in size and aspect ratio. The combination of meticulous design, premium components and bespoke manufacturing allows DT Screens to deliver on our promise of performance and ease of use. DT Screens are already a feature component of some of the highest performance home cinemas. Let us help you choose DT Screens to maximise the performance of your chosen projector for years to come. Acoustically Transparent Reference is a unique knitted image surface supporting reference acoustical and visual performance. AT Ref delivers crisp vibrant images with almost no impact on sound transfer. Available on screen heights up to 1.9m. Surface structure indistinguishable from approximately 0.5m. Acoustically Transparent XL is a woven image surface supporting reference acoustical and visual performance in very large systems. AT XL delivers sharp vibrant images with minimal impact on sound transfer. Available on screen heights up to 4.5m. Acoustically Transparent Mask is a deep black version of AT Ref which is used for contrast enhancing black backing behind the AT Ref image surface and as screen masking on the Dynamic series. With almost no impact on sound transfer but with very low reflectivity, AT Mask is the ideal choice to frame the image surface. Acoustically Transparent Back is a lightweight semi plush fabric which is used for contrast enhancing black backing behind the AT XL image surface. The deep black and light absorbing finish enhance video performance with negligible impact on sound transfer.